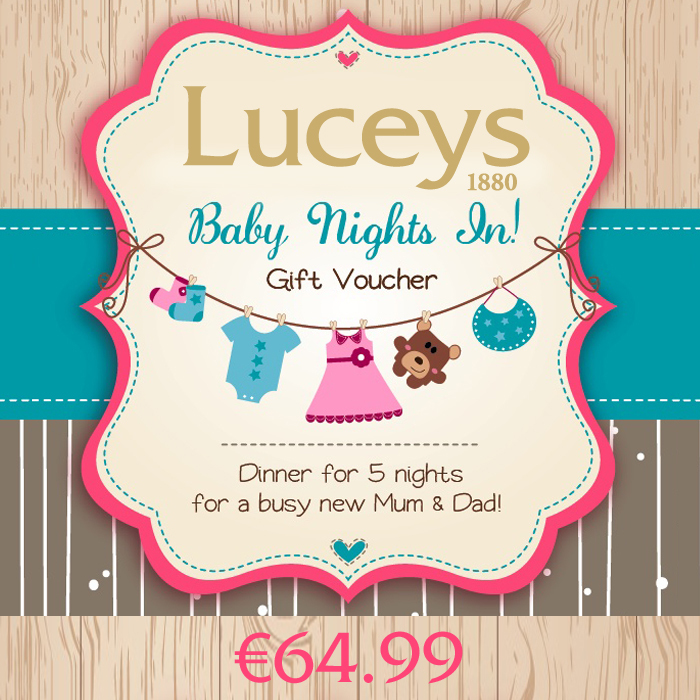 Surprise the one you love with a BABY NIGHTS IN gift voucher. Choose any 5 dinners each from our menu below. All meals can be re-heated in the microwave or oven for your convenience, allowing Mum and Dad more free time to spend with their new bundle of joy. All you have to do is select the dinners and the date and we’ll deliver the gorgeous meal hamper straight to your door. Please let us know if there is any special dietary needs to be catered for. Please note our kitchen uses all 14 food allergens. Microwaveable meals will need to be reheated for 5 minutes at 750watts. Oven meals will need to be reheated for 20 minutes at 170 degrees Celcius. Orders must be placed at least three days in advance. All Pie dishes come with mashed potato piped on top. Rice not included with chicken curry or Beef Strognoff.